The CPC was the first digital computer used in the space program and was instrumental in the development of the U.S. Army Redstone missile. 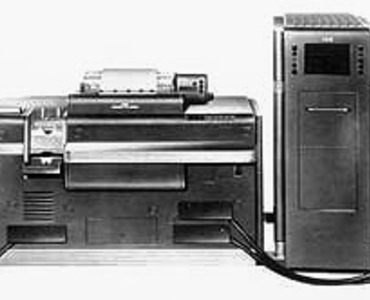 The IBM Card-Programmed Electronic Calculator was announced in May 1949 as a versatile general purpose computer designed to perform any predetermined sequence of arithmetical operations coded on standard 80-column punched cards. It was also capable of selecting and following one of several sequences of instructions as a result of operations already performed, and it could store instructions for self-programmed operation. It could add figures at the rate of 2,174 a minute. The Calculator consisted of a Type 605 Electronic Calculating Punch and a Type 412 or 418 Accounting Machine. A Type 941 Auxiliary Storage Unit was available as an optional feature. All units comprising the Calculator were interconnected by flexible cables. If desired, the Type 412 or 418, with or without the Type 941, could be operated independently of the other machines. The Type 605 could be used as a Calculating Punch and the punch unit (Type 527) could be operated as an independent gang punch. Customer deliveries of the CPC began in late 1949, at which time more than 20 had been ordered by government agencies and laboratories and aircraft manufacturers. Nearly 700 CPC systems were delivered during the first-half of the 1950s.